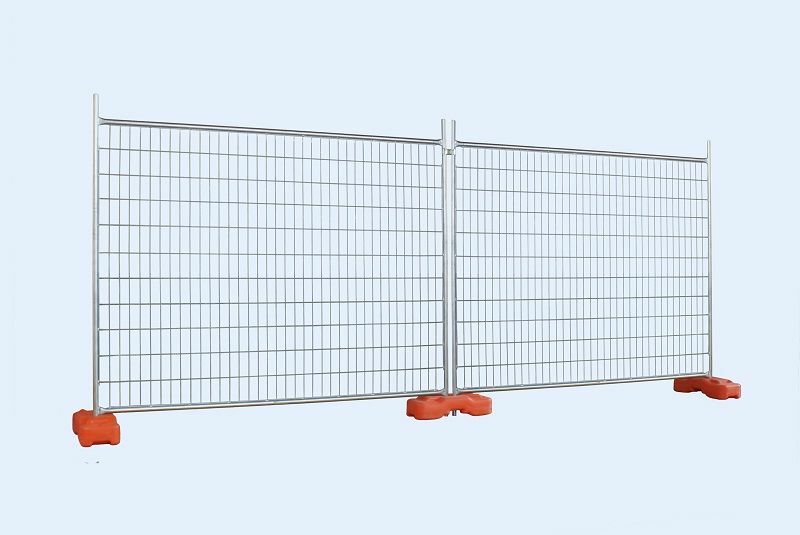 Many of our clients use our panels for the convenience of dealing with one company instead of having to open an account with another company just for fence panels. Available upon request at very competitive rates. Ready to pick up from our yard or we can deliver and erect for you. – 1800mm Weld Mesh Infill, Measuring 75mm x 100mm. Each panel weighs 23kg making them strong and sturdy but not to heavy to carry . Our bases are made of heave duty green & orange plastic and are concrete filled. Depending on the requrements we have 2 types of base. Panel braces are used to add extra support to a fence when on straight runs however other panels can also be used to brace a fence. Panels can be picked up from our depot or delivered to site & erected depending on your requirements. 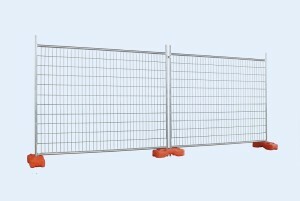 So if you requre Temporary Fencing for any reason be sure to Contact Us for a no obligation free quote.